Life has its way of stepping in and taking you off of your destined path, however we don’t always have to stay on the diverted road. 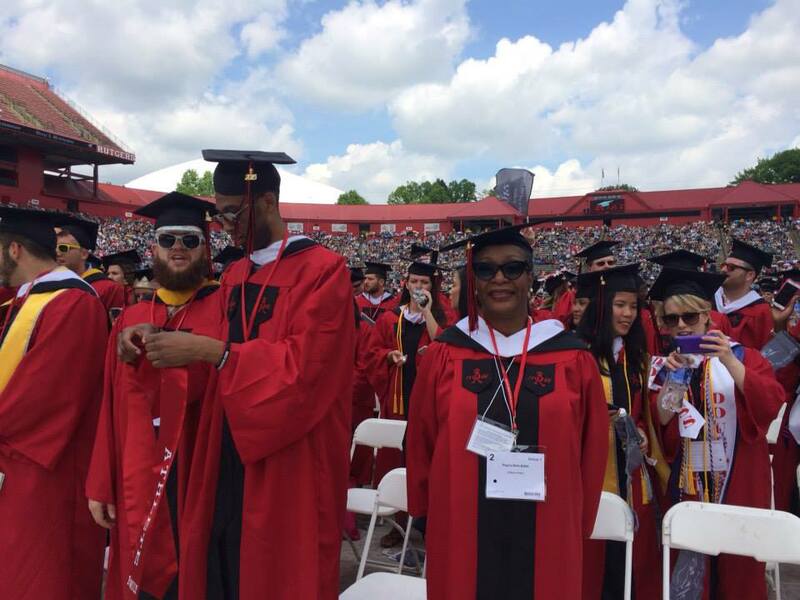 EarHustle411 and the writing staff are advocates of education and we believe that regardless of the route one takes to get to the goal, the success in it is that the goal is reached. 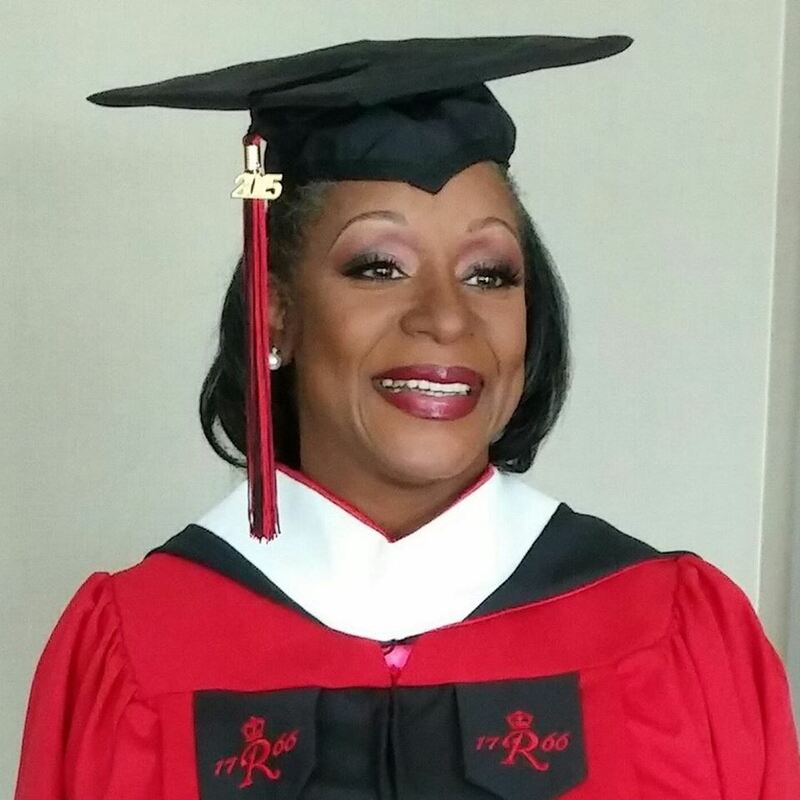 We are so elated to share with our readers a story about a woman who had traveled many roads and her drive, desire and determination brought her back to the road she left back in 1981, when she was a student at Cook College in New Brunswick. 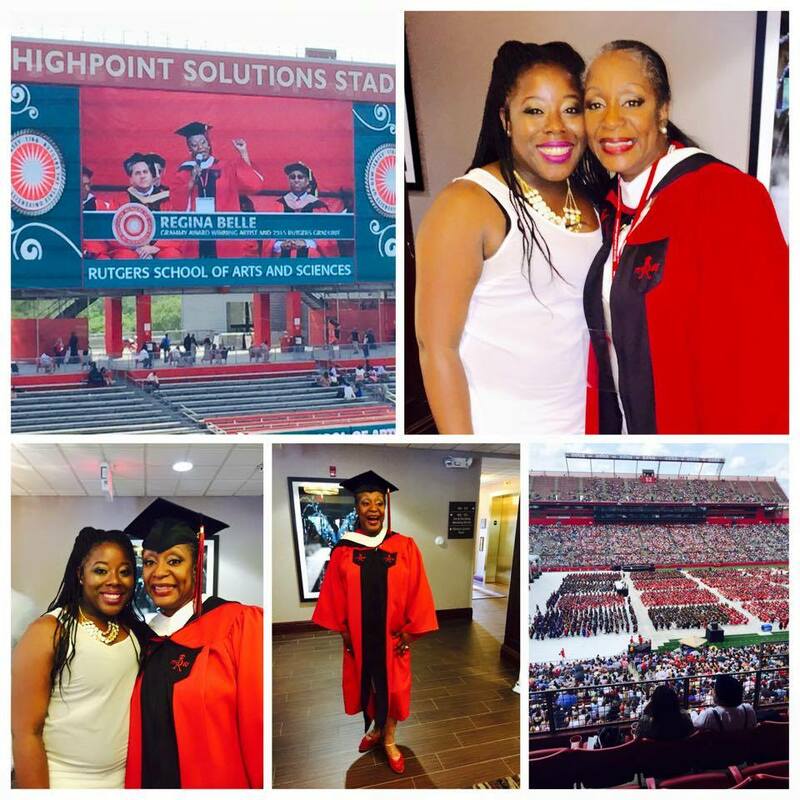 Now here we are some 30+ years later and the moment has arrived for Oscar and Grammy Award winning Artist Regina Belle as she has walked across the grandest stage of them all in her life at Rutgers University, earning her Bachelors Degree. 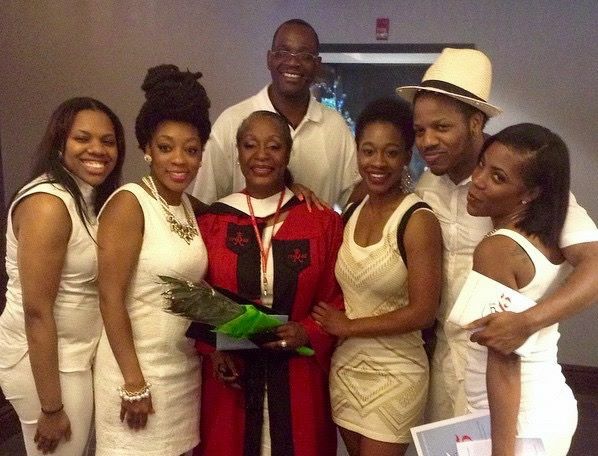 Regina Belle has been living a very full life as a mother, wife to former NBA basketball player John Battle (also a Rutgers Alum), grandmother, as well a an ordained minister. Where did she find the time to go back to school? Well when you have God on your side, ALL THING ARE POSSIBLE if you believe. 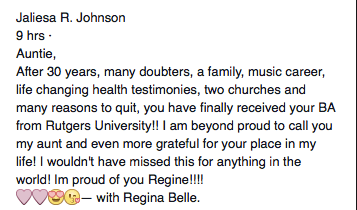 Regina kept her fans abreast of her progress via her Facebook page, and it’s amazing how encouraging they were and she offered encouragement in return. Her story is one of elegance meets determination and determination meet triumph. EarHustle411 and the writing staff concur with your niece Regina, we couldn’t be more proud and excited for you on this momentous occasion. Thank you for always being the shining example for others to follow. We wish you all the best that God has in store for you on this next step of your journey.